Be the Change! Join and post your comments, questions and answers! Time to make our move as the youth of South East Asia! This is SEA change! click on the link to start! I heard the new Starbucks planner is now up for grabs...Its more of a tradition now to have the planner that I know many are coveting to have one. As a matter of fact I never had one, but really want to have one! If you may notice, starbucks has become more of the casual lifestyle of the modern pinoy. This proves the booming number of starbucks stores, the people experiencing the flavor of frappé and cappuccino which is not now exclusive to the sosyal people. So I would say that this brand has been a flavorful treat like a pat on the back after a hard days work. 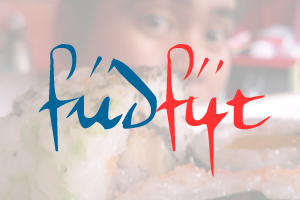 füdfÿt: Dare to be Fit 'n Right at Taste Asia! Dare to be Fit 'n Right at Taste Asia! As the holidays approaches, its actually good to know that you can stay or be fit even it may seen impossible or frustrating. We maybe familiar with all the weight loss and exercise products and medicines in the market that, in which most cases fail to maintain or achieve the real results or what we can really call "fit". Well, Del Monte Fit 'n Right juice drinks and fruit snack is for you! Blog Action Day! Clmate Change! Today is the day for us to contemplate about what we have done with our planet. No matter how small or big that you have given to pollution, deforestation and abuse of natural resources. You may have heard this a gazillion times in many ways and means, but the more important question that comes with the call is "Have you done your part?". If that seems to scary or too big for you, why not start small. I also was overwhelmed by the challenge of this questions, so how does one start small and yet contribute globally? Well, I started with a challenge to myself to avoid littering even if the place is already filthy and dirty. I always say to myself that "Why should I contribute to more pollution?". We may be too spoiled that some metro aide or sweeper would clean up our mess. But hey, we are humans, we were made to clean and preserve the earth not to make it more filthier. One Blogging Nation! Philippine Blog Awards! fact: I made my first blog post way back on 2003 and I used blogger for it. Thats 3rd year high school. I got to know blogger by a tech magazine, and some blogs I have i the past were kinda short sometimes like a post on twitter. Now after some years, I have appreciated the life of a blogger and how we are changing the world. The internet was really a liberating space to all people, including me to explore new frontiers. Information comes in fast but there would be a lot of fabricated and misleading ones. However, its popularity and usefulness became rapid. Giving a new dimension on the word media. A Blog starts by exploring the world through our own eyes and feel the actual events. Take some photos, go in front of the computer, generating a chain of thoughts (well sometimes thinking come firsts while some takes notes), emotions, explanation, and of course humor... clcik POST... then you have a BLOG! Olympic fever! Samba in Rio de Janeiro!